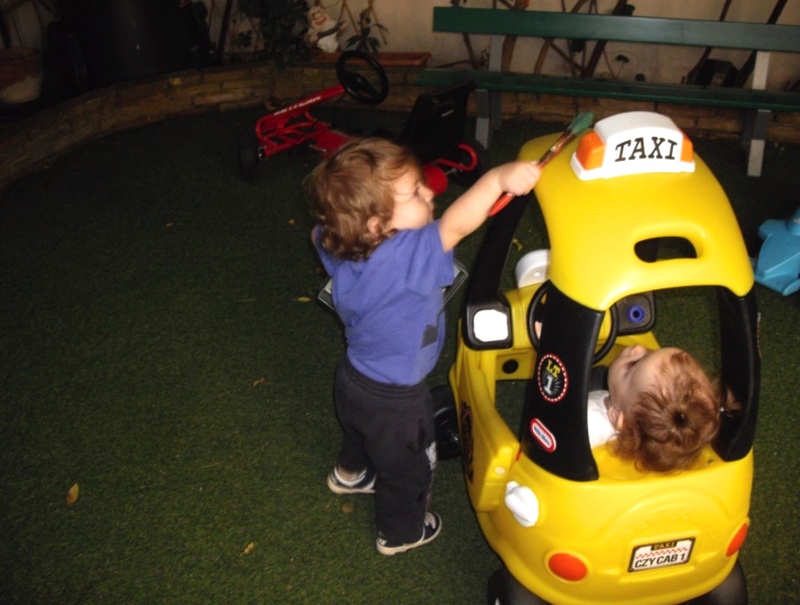 Babies can do great things with just a taxi cab and a paint brush! They instantly assign roles to themselves, no need to speak. 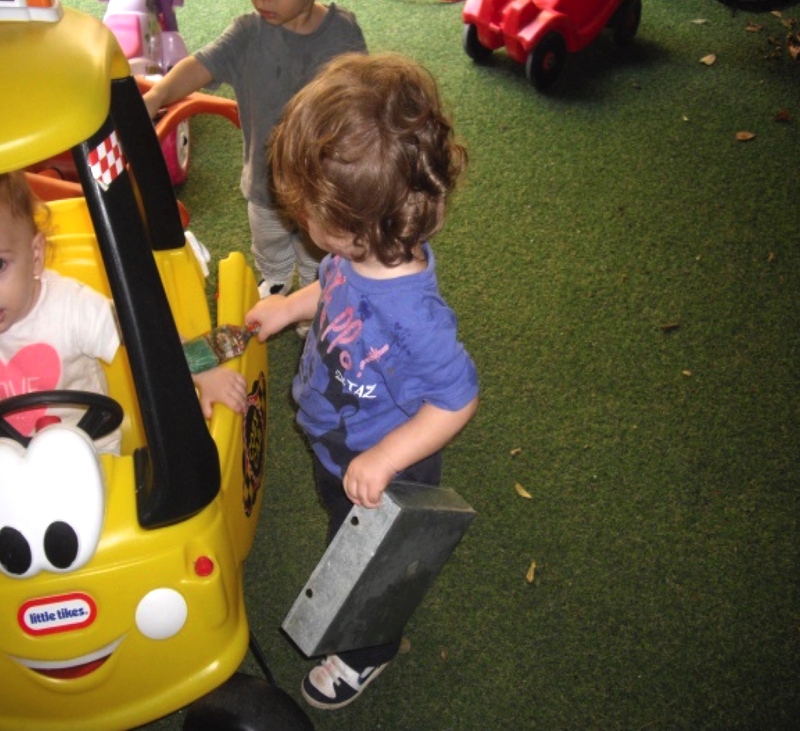 The girl is the driver and the boy is the mechanic. When job is done, he closes the door like a gentleman and waves goodbye! !